I had just hit a 6 iron pin high, about 15-feet right on No. 17. 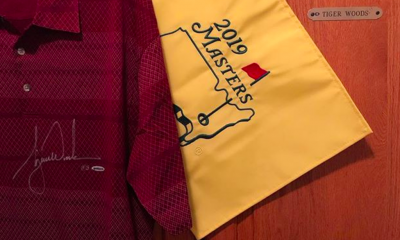 I was about to play my second-to-last hole in the 108-hole European Tour Qualifying Tournament, and was either right on the cut line or one shot from getting my tour card. I remember walking up to the green thinking that I hadn’t made many putts that day, and I was due (jedi mind tricks on myself). I just kept telling myself to go through my routine and hit the best putt I could. That was my goal. 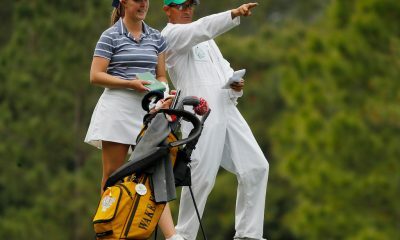 I had practiced and prepared to the best of my ability and on that day, I holed the putt. The process helped me a great deal, and I went on to secure my tour card, tying for the last spot by making birdies on Nos. 17 and 18. 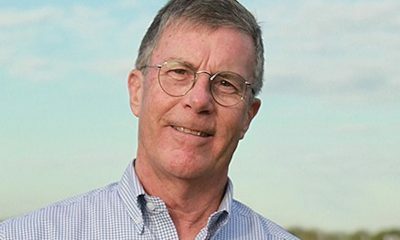 The process and practice routines I used to make clutch putts down the stretch have no magical formula; any a golfer of any level could hole the putts that I made. I’ll share what I’ve used to practice and prepare to make putts in my career, and if this helps you make some putts, well, who doesn’t like to make putts? Here’s my short list of priorities. 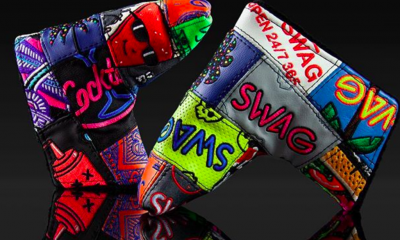 Great putters don’t care if the ball goes in or not. I’m serious. 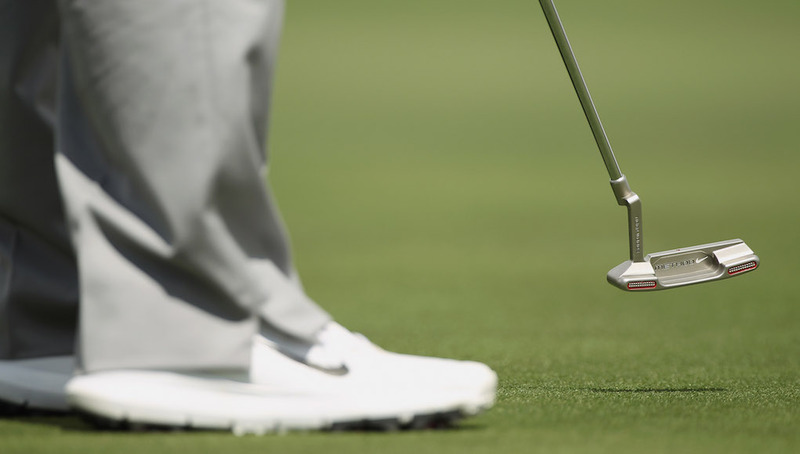 Hit putts where you are aimed, which is more difficult than it sounds. A little disclaimer before we get going; I’m going to share with you what I’ve used for years to work on my putting. I’m not getting paid to promote certain products; I just know what works for me and if that helps you, fantastic. 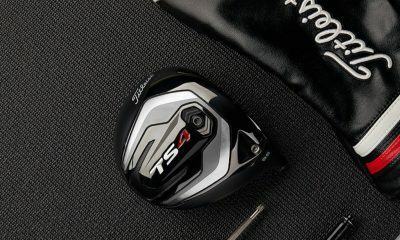 Here’s what I’m looking for during my practice sessions. The first image is a typical practice setup I would use. The thing on the ground is made by Dave Pelz, and it gives me feedback about my setup and my putting stroke. 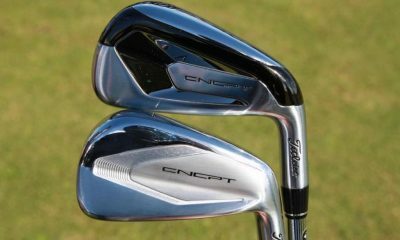 Once I’ve got a good read on the putt, I’ll use some tees to anchor the device to the green and get to work. In this image, I’m looking for a couple things. 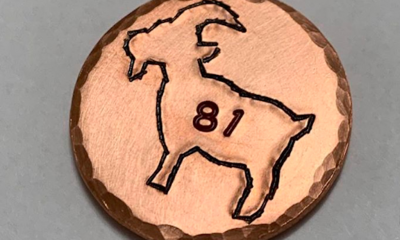 The coin on the ground, in coordination with this device, gives you great feedback about where you are aimed, letting you know exactly what it feels like to aim at that coin on the ground. You are teaching your mind, body, and eyes how to aim properly, which is very important in putting. 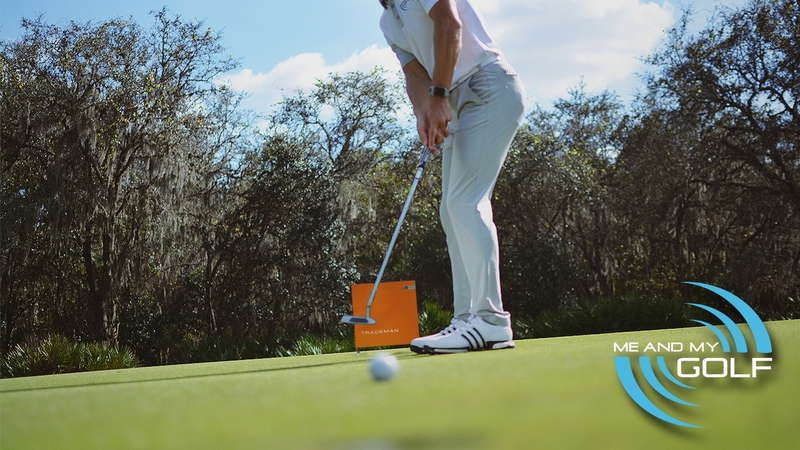 By gently pushing the putter face up against the device, you know the putter is perfectly aligned and perpendicular to the starting line of the putt. This image shows where your eyes are in relation to the starting line of the putt. 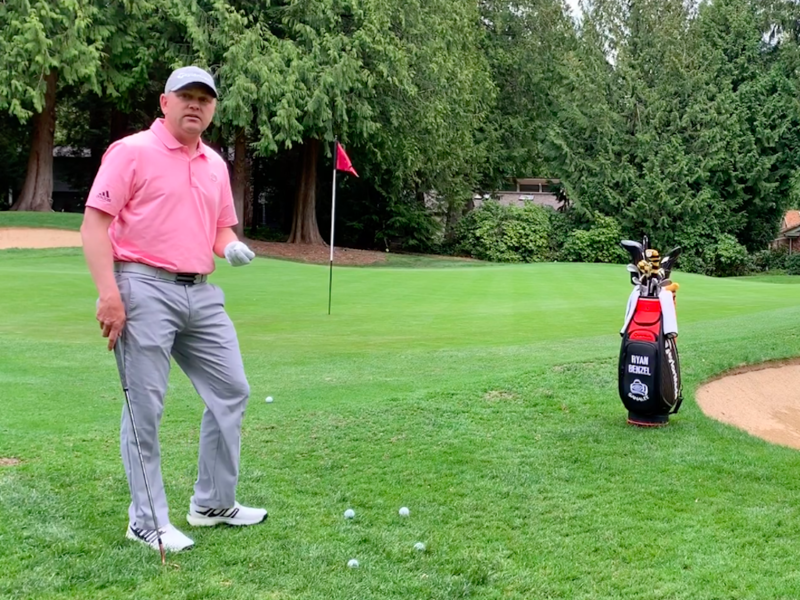 A quick way to check your eye position without this aid is to get over a putt like you’re ready to hit it, but have an extra ball in your hand. Then hold the ball right in front of your eyes and drop it. 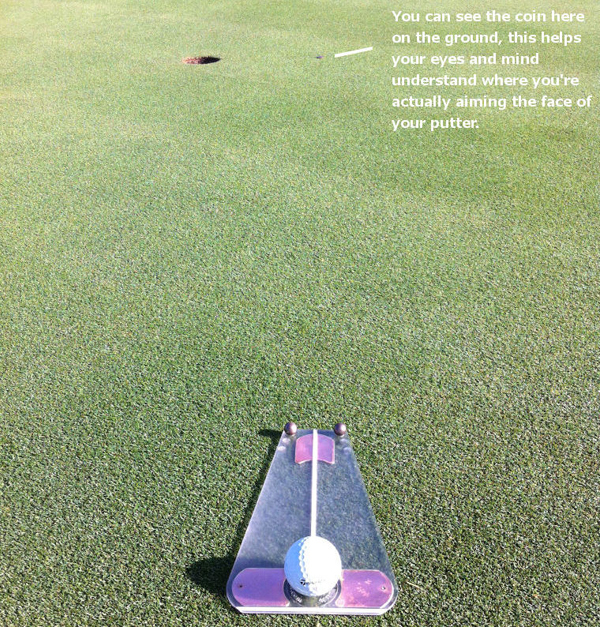 Where the ball lands shows where your eyes are positioned in relation to the line of the putt. I’ve always putted with my eyes just inside of the line, which is represented by the image below. 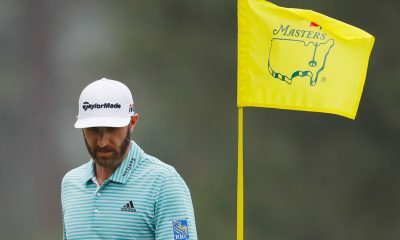 This image below shows what it would look like if your eyes are too far over the line of the putt. Most great putters I’ve known operate with their eyes slightly inside the line of the putt or directly over the line of the putt. Here’s an image of the overall setup. 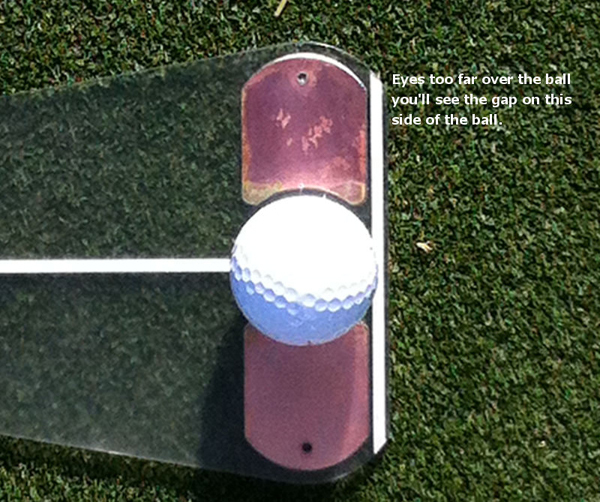 You’ll see the tiny gap under the ball and the putter flush against the device. That shows me that I’m perfectly lined up with my eyes just inside of the ball. The goal with all of this is to start the ball on the line you have chosen for the speed you’ve chosen. In the images above, you’ll see two little steel marbles at the end of the device. If you’re not starting the ball online, the ball will hit one of these ball bearings and you’ll get immediate feedback. 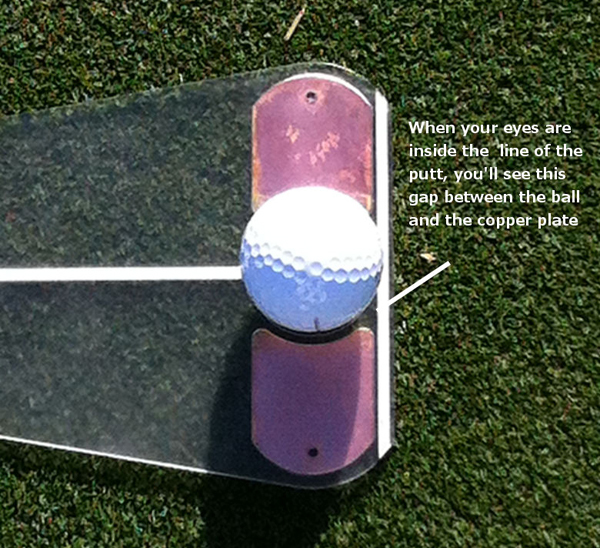 You’ll have to intuitively figure out how to consistently get the ball through the two bearings. Sometimes the path of the putter head may travel too far inside or outside, and sometimes the putter face will be closed or open at impact. 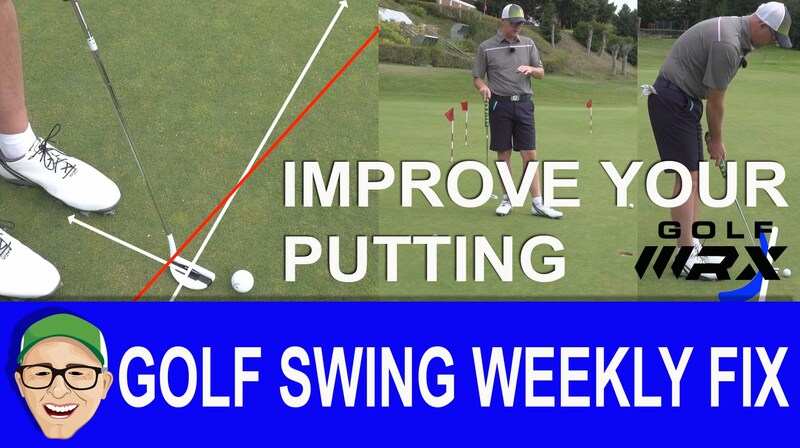 This is where you learn how to hit putts on line consistently. 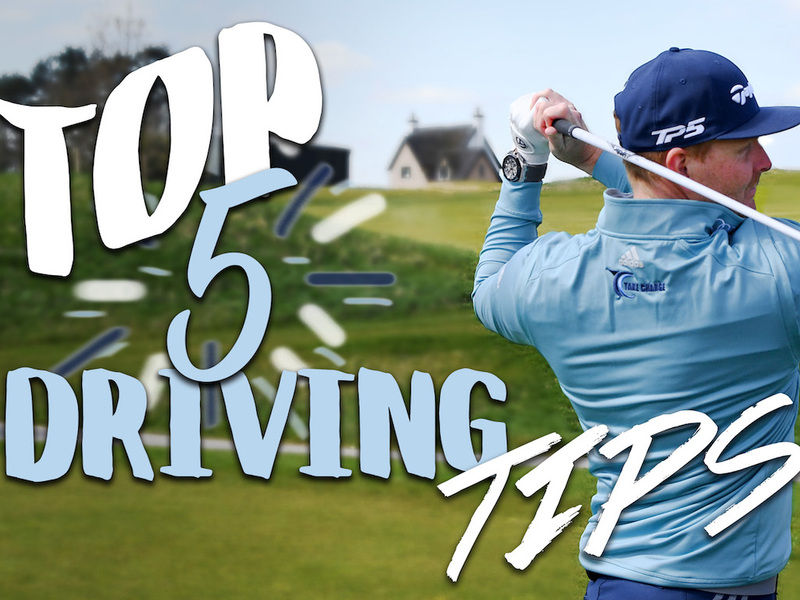 Start with comfortably hitting putts through the widest setting then slowly move the bearings in as you become more consistent. 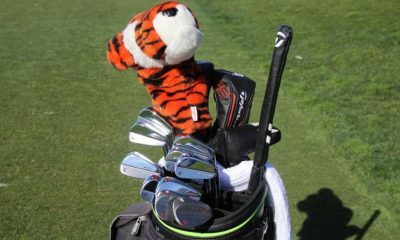 When I get on the golf course, all I’m trying to do is imagine every putt I hit is coming out of this device. I simply have to aim myself correctly for the speed I’ve chosen. 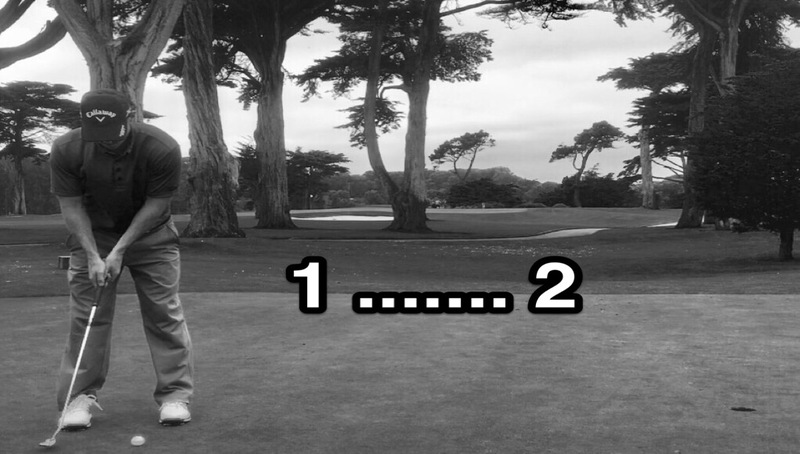 It doesn’t matter if the putt breaks one way or the other. All you can do is hit the best putt you are capable of hitting on the line you’ve chosen. 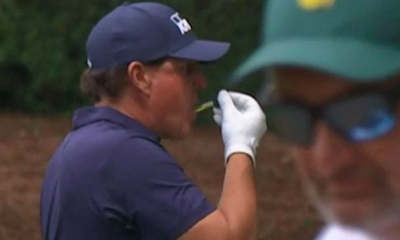 If this sounds familiar, it’s because this was all I was thinking about when I holed that putt on the second-to-last hole of European Tour qualifying. 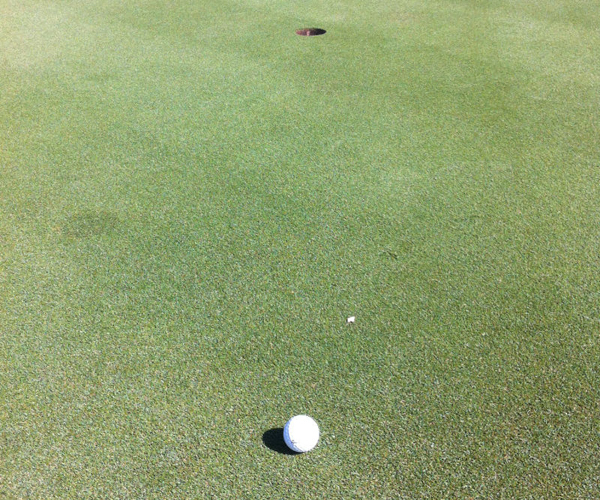 Here’s the same putt without the training device, a putt you’d likely see on the golf course. I try to find something 8-to-12 inches in front of my ball I can use as a reference for alignment. See the leaf on the ground. Even though it’s close to my line, I’m not going to move it because if I hit it I’ll probably miss the putt. You can look for anything on the green to help you line up your putt: old ball marks, discolorations, etc. Knowing I’m aiming just inside the leaf, I’ll get over the putt and imagine the device sitting on the ground with the white line aimed just inside of the leaf. Once I get over the ball, I know I’m aimed to the best of my ability and the only thing left to do is pull the trigger. 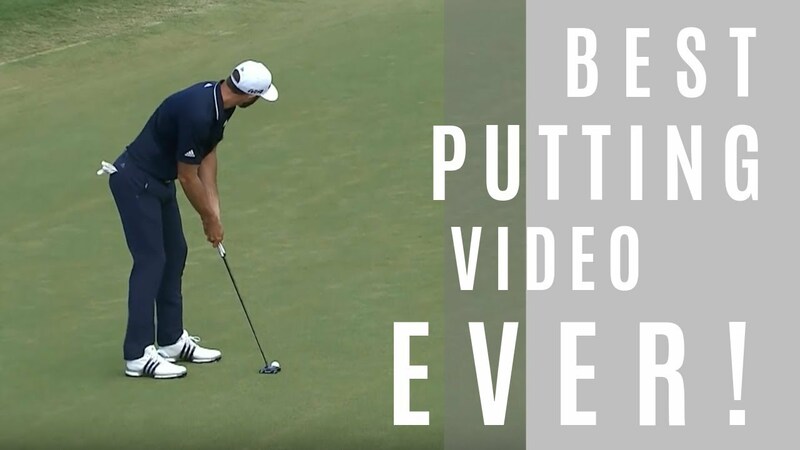 Remember, all you can do is hit the best putt you can. Once the ball leaves your putter face, there is nothing you can do. Sometimes bad putts go in, and sometimes great putts don’t. The most important thing you can do is create a measurable, consistent setup. Once you get on the golf course, you’re just picking a line, using your setup and letting go of the outcome. I got one of these devices about two months ago and it’s drastically changed my putting for the better. When you roll those putts through the marbles on the tour setting you gain so much confidence. It was also an eye opener on playing enough break. Worth every penny of that $50! Agree, very simple and very effective, an eye opener for people who have never used it. Takes a bit to get used to rolling the ball through the close setting and ramps up the quality of your practice. Where can you get one of these used? Pelz website has them for $50. That’s too much. I can rig something up similar just not as fancy for less than $50. Pelz website only place I’ve found that has them. Let me know if you find another place that sells them. Thanks! You more of a feel player? 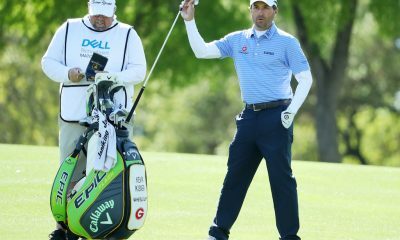 Good article because I feel we get too wrapped up in telling people how to gain an extra 15 yards on our drives. 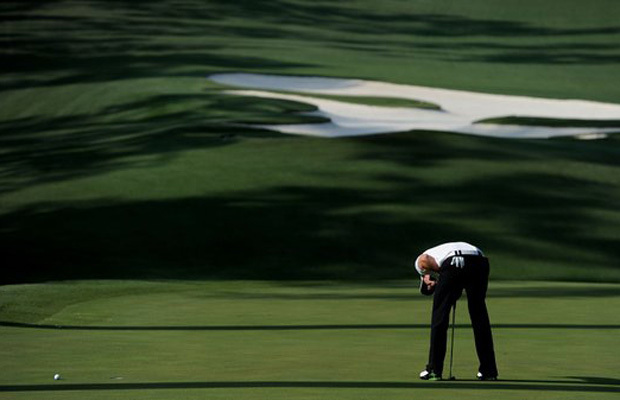 Becoming a better golfer will always come from being better around the greens and putting. 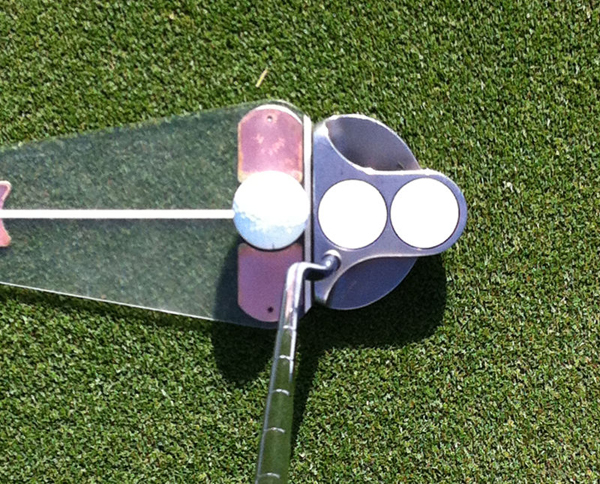 Putting is also something you can work on at home if you can’t make it out to the course regularly. You bet, I used to spend hours in front of the tv rolling putts on the carpet. Thanks for the thoughts. Great device.. It works and is easily stowed in bag. 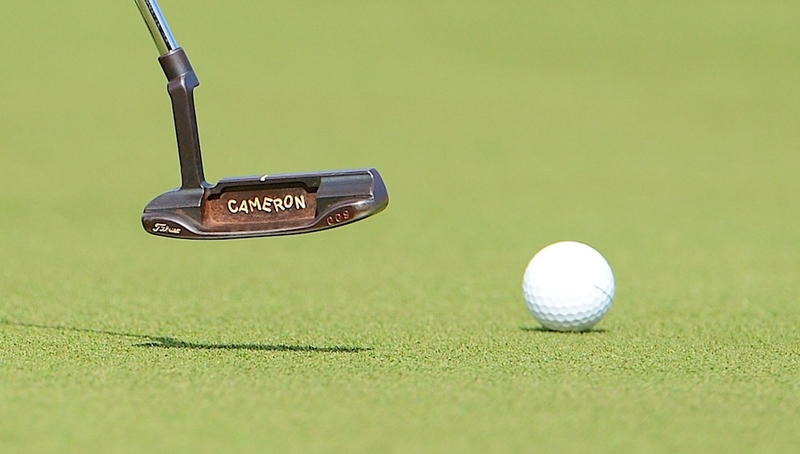 Have you spent time hitting putts with Pelz’s device? Has it helped to improve the quality of putts you hit? Solid article. Not too techy. 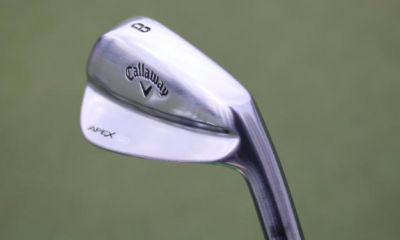 What’s the deal with putter face rotation?